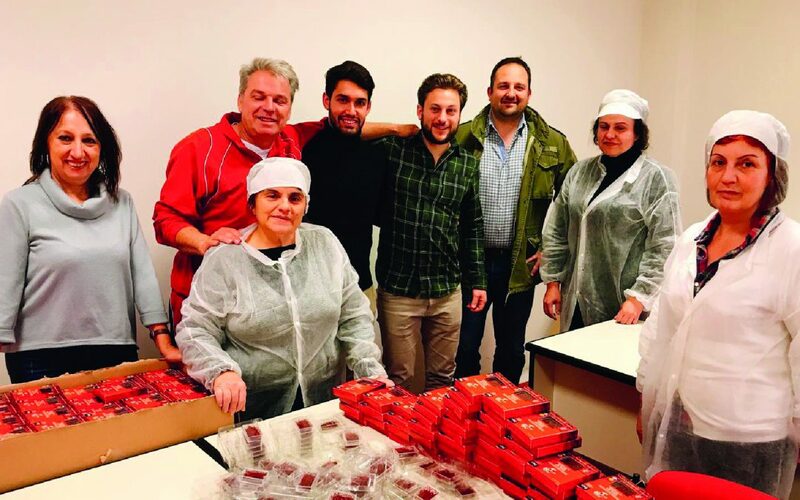 The “Train the Trainers” of the SuperGREENLABELFoods project took place in Thessaloniki (Greece) from 10 to 14 December 2018. Five days of training on the topics of medicinal and aromatic herbs to train the trainers who will support farmers from Spain, Italy and Greece in the production, processing and marketing of Super Foods, specifically medicinal and aromatic herbs. Five days of classroom training, on-field visits and creation of material for the training of farmers that will take place in the coming months. The project partners Hellenic Agricultural Organisation Demeter , UAGN – Union de Agricultores y Ganaderos de Navarra and CSC Danilo Dolci exchanged ideas and best practices for the training of 80 farmers in their respective countries. The SuperGREENLABELFoods project will allow professionals in the agro-food sector to acquire new technical, informative and communicative skills to improve cultivation, harvesting, production, packaging and promotion of superfoods and medicinal aromatic herbs. SuperGREENLABELFoods is co-funded by the Erasmus + Program: KA2 – Cooperation for innovation and the exchange of good practices – Partnership | Professional Training & Training.